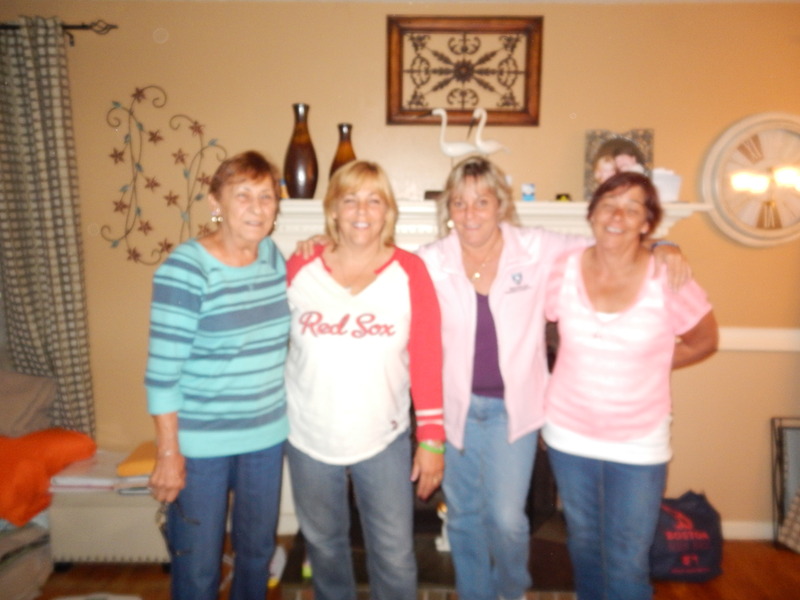 The ladies are coming today………..
My mother, myself, my sister Laureen and my sister Donna. My mother and sister Laureen lives in Florida and my sister Donna lives in Virginia. Today they are flying and driving to come here to my house today. Then tomorrow we are off to Old Orchard Beach Maine to spend time together. This will be the first vacation we all take together, since we were kids. After the last couple of years, we are now learning how important it is to just do it. We always had reasons before not to be able to just say “let’s do it”, but now every moment is precious. Normally I would fly to Florida once a year to see my mother and sister, but this past year it will be the 3rd time I see my mom. It is hard when they live so far way. I am blessed t have my family, so now it’s time to enjoy being together. Look out Old Orchard Beach, the ladies are coming to have fun. Have fun. It sounds like a special trip. So happy you all will have this time together. I overthink, therefore I am.